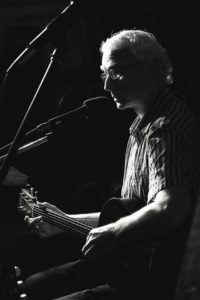 Ronnie Threechords is a solo singer songwriter playing finger picking country folk blues. Some of his material has a touch of humour but generally it is wide and varied. Ronnie Threechords has completed his CD album “Thank you Both” which is selling well around the music venues.